Do you have a passion to help people grow in their understanding of themselves and others? Dr. Rohm and Personality Insights (PI) desire to leave a legacy through our family of consultants. We have a special Master Trainer program designed for those who can communicate with the same excellence and heart that we do. Many of our consultants have gone on to become Master Trainers who, in turn, certify others in DISC. After completing the 2 Day DISC Behavioral Studies Certification – Level 1 Train-The-Trainer Accreditation Program – you are then qualified to train others using the same materials covered in the LEVEL 1 classes. You will then be recognized by Personality Insights as an Accredited DISC Trainer. 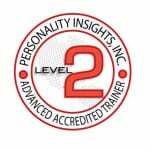 After completing the 2 Day DISC Advanced Behavioral Studies – Level 2 Train-The-Trainer Accreditation Program – you are then qualified to train others using the same materials covered in LEVEL 2 classes. You will then be recognized by Personality Insights as an Accredited Advanced DISC Trainer. 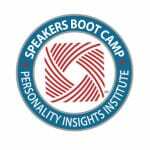 After completing the 3 Day Speakers Boot Camp with Personality Insights, Inc., – LEVEL 3 training, you are then permitted to apply and enter the Master Trainer Intern Program. At that point in time you are getting closer to earning the Credentials of being a full Master Trainer with Personality Insights. After you create your own Training Program, by registering people to your own event, Personality Insights will participate on-site in your own Training Program to further help you from the “Intern” status to help you reach the full-fledged “Master Trainer” status. 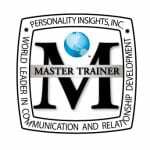 After full Master Trainer status has been achieved (no longer Intern status) and all qualifications have been met – at that point in time the new Master Trainer is then able to “Certify” individuals with authority through Personality Insights, Inc., and provide Certification Training into the DISC Model of Human Behavior. 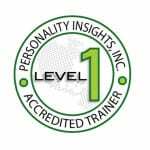 Therefore a Master Trainer is qualified and authorized on behalf of Personality Insights to offer the same 2 Day DISC Behavioral Studies Certification Programs; using the official comprehensive resource materials developed and provided by Personality Insights.